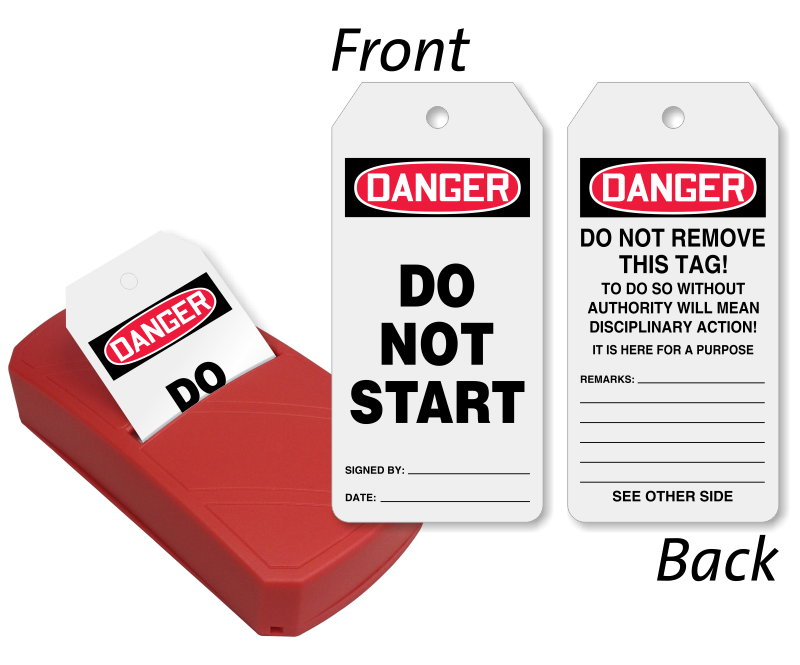 This innovative Take-A-Tag Dispenser keeps your Do Not Start Tags tidy. A neat box helps prevent your pack from becoming undone. • You can order separate pack of 100 tags too. Take-A-Tag Dispenser can be replenished over and over again. 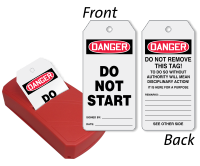 • Fan-folded tags are durable and feature writable surface.